We Treat Your Money Like Our Own. list of successful projects we’ve completed. Built in 1922, this 1,990 square foot historic multifamily residence in Downtown St. Augustine needed all new electrical and plumbing work, the floors were jacked up, and structural beams were added. Painted inside and out, a new roof was put on, as well as all new flooring, windows, doors, bathrooms, kitchens, light fixtures, and appliances. This was a full renovation. Purchased for $100,000, the property sold in only 89 days for $249,000. Bringing the net profit to: $77,000. Purchased directly from the bank for $42,500, this 1,800 square foot single-family residence was an absolute nightmare. Scared of nothing, we jumped right in. The home needed a new septic tank, a new roof, all new flooring, baseboards, windows, doors, two new bathrooms, all new kitchen, appliances, light fixtures, and paint inside and out! Listed for $114,900 and only on the market for 77 days, this home sold for $122,500. Bringing the net profit to: $50,000. A vacant lot in Vilano Beach, nestled between the ocean and the Intracoastal, was purchased for $88,000. Knowing the intensity of the Vilano Beach market, we decided to build a new construction home from the ground up. Showing thousands of homes to potential buyers, we knew we needed to design the house that everyone wished existed. So that’s what we did. 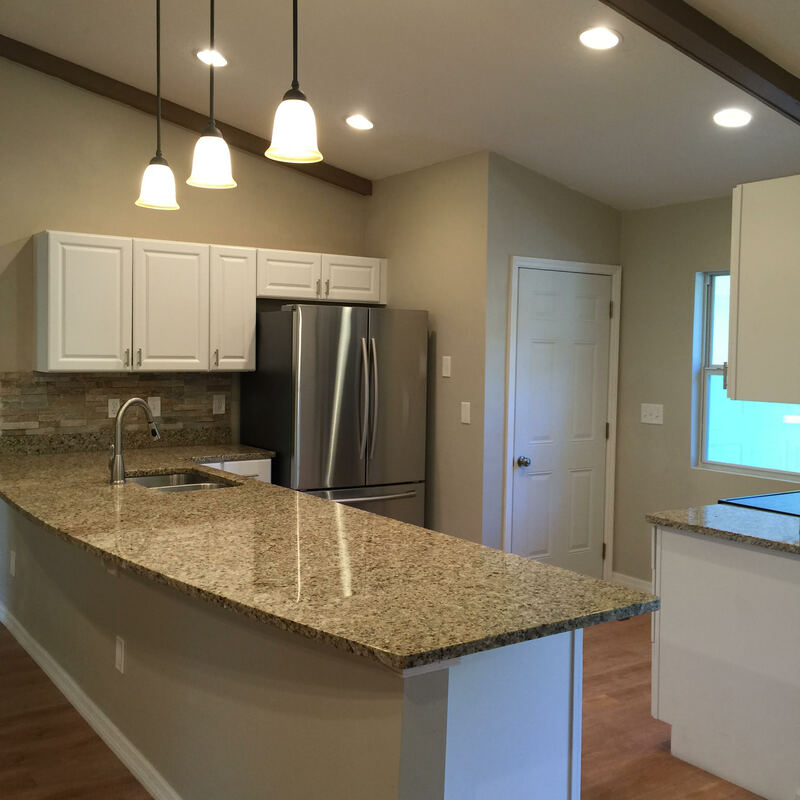 We designed a 1,789 square foot, 4 bedroom, 2.5 bath home with a very open floorplan. The rooms had large closets, the master had a large shower, the guest bedrooms were separate from the master bedroom. The laundry room was inside. The eat-in kitchen had plenty of counter space. Only having a Certificate of Occupancy for 60 days, this home sold for $345,000. Bringing the net profit to: $39,000. Purchased from an online auction for $116,294, this 1,305 square condominium located in The Preserve on Anastasia Island was too good of a deal to pass up. Needing only a light cleaning and touch-up paint, we turned around and put it back on the market. Listed for $139,000 and only on the market for 40 days, this condo sold for over the asking price at $140,000. Bringing the net profit to: $10,000. Purchased directly from the bank for $76,418, this 1,396 square foot single family home located in The St. Augustine South needed a TON of work! In just 64 days, it got a brand new metal roof put on, all new windows and doors, new exterior and interior paint, all new stainless steel appliances, granite countertops, and all new fixtures and bathrooms. Listed for $169,000 and only on the market for 4 days, this house sold for the full asking price! Bringing the net profit to: $29,026. Purchased at auction for $237,514 this 1,856 square foot single family home located in Ponte Vedra Beach needed a total overhaul! Situated on a full acre with a pool and a detached garage, in just 100 days, it got a brand new metal roof put on, walls knocked down, all new windows and doors, new exterior and interior paint, all new stainless steel appliances, granite countertops, and all new fixtures and bathrooms. Listed for $459,777 and only on the market for 3 days, this house sold for OVER the asking price at $461,777! Bringing the net profit to: $53,100.